Doulas have a fairly strong reputation among those who seek to give birth without pain medication. After all, it is a big physical and mental challenge, so it makes sense that you would have an extra support person to get you through it. However, this has also resulted in a pervasive belief that doulas are only useful at an unmedicated birth! Each year, the number of parents who utilize doula care during pregnancy and labor is steadily rising. However, the rates of birthing parents choosing epidural anesthesia during labor have remained the same: depending on the hospital and region, numbers like 50%, 70%, and even 90% epidural use are being reported. This means that more and more non-crunchy moms are unlocking a huge secret: doulas are for everyone! It’s a common misconception - you’ve probably heard it too - that doulas are only for hippies giving birth with the dolphins. I mean, we’re definitely down for a water birth, but let’s be clear: we support birth. 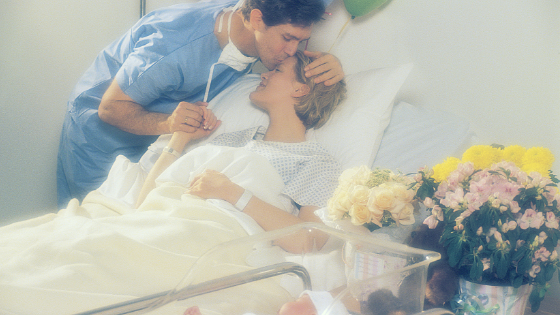 Hospital birth, home birth, epidural birth, Cesarean birth - it’s your birth, your way. As professionally trained and experienced doulas, we know that there is no one-size-fits-all when it comes to birth. The choice to abstain from pain-relieving medications during the labor process is a multifaceted decision and it is not the right path for all parents. Having a doula is about so much more than getting through birth without drugs. It’s about having emotional and physical support during the process. You are still going through a lot. You may still experience discomfort. You still need to be touched, encouraged, and positioned in bed to facilitate labor. It’s about having access to a 24/7 expert on pregnancy and birth to answer all of your questions. It’s about having support for your spouse or partner, who may have never seen a birth before and would like to receive encouragement and coaching on the big day. Oh, and they may want to eat and use the bathroom occasionally but without the guilt. It’s about having someone who’s there just for you - no job other than to focus on you and anticipate your needs. Someone who won’t merely “not judge you” for getting an epidural, but will actively celebrate you owning your choices and knowing what you want! It’s about being held through the actual process of getting your epidural, which isn’t super fun until the pain relief kicks in. So you see, if you’re one of the 50%, 70%, or 90% of birthing women who chooses an epidural during labor, you don’t have to wonder what you’re missing out on. The benefits of a supportive, skilled, and compassionate doula during labor are for YOU!